There are many options today to go solar. You can set up your own solar panel system or have a professional do it. Solar panels come in many different sizes and capacity depending on your energy requirements. The average American uses 920kW per month. Powering your home with solar panels can save you a considerable amount of money. We will look at two options in this article. What it takes to install a solar panel system yourself and how to outsource the project to a professional. How Much Can You Save Using Solar? If you are reading this article, then you already have interest in making the jump to solar power. So how much money can you save? You can use The GoGreenSolar.com power calculator to figure this out. It will take your current electricity price, the size of the solar panels and inflation, then calculate your savings over time. It will also tell how much CO2 emissions you will save from releasing into the atmosphere. You need to make the decision of buying or leasing your solar panel system. In some states, this is not an option and you may have to buy your system outright. It can become quite expensive to buy a system, but in most cases, you will save money in the long run. You will also increase the value of your home and receive all of the rebates and credits. When leasing a solar system, the leaser receives most of the credits and rebates. Generally, there are low to no upfront costs. See this helpful comparison guide if you need more information. In most cases, a 30% Federal tax credit can be applied to your total installation. Check your state laws for system requirements and permits, each state varies. Many states also offer tax incentives and rebates. To find out what your state offers you can search the Database of State Incentives for Renewables & Efficiency (DSIRE). Many states have different rules for hooking up your solar panel system to the power grid. So check with your local officials or hire a licensed solar contractor. This can be an excellent way to understand how a solar panel system works. You can learn how each component operates and what role they play. If you are somewhat handy this may be a great project to take on. There are more and more people deciding to install their own solar panels for the home. The internet is full of helpful information. There are many how-to videos explaining the installation process. A solar panel system wired into the power grid to offset your electric bill. An off the grid solar system that charges batteries that run your electrical needs. Many of these kits can get you started on the solar path. These kits can help offset your energy costs. They come in various output ranges. Even starting with a small 3000W system might be all you need to get started then expand your system later. This solar panel system could provide 24-54% of your energy needs. This 3000W micro-inverter based kit is great for those with small electric bills or for offsetting some of the electrical costs. The systems take less than 300ft² of space, so it will not take up much room on your roof. The 225-500kW generated by these systems is a good amount of energy, enough to offset most of your lighting or even your air conditioning use. The Eco-Worthy 1300w Solar Panel Kit is a nice kit to go off the grid. These kits work in conjunction with a battery storage system to provide your electricity. Depending on your energy needs, the number of batteries required will vary. This step can take some planning to know how many batteries and the panel output that is required to power your home. There are many off-grid system available for a DIY person. 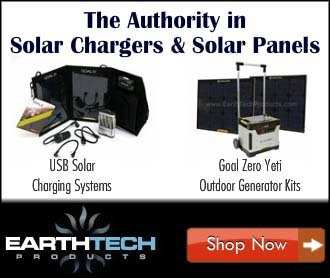 You can find more off-grid systems on Amazon and . The other option is to have a professional do the install for you. This can alleviate any stress of having to do it yourself. It can be installed by a licensed professional in a timely matter. As solar grows in popularity, more and more companies and licensed professionals are becoming available. Check out Our Guide on Installing a Solar Panel Starter Kit. Going solar can be a great way to save money and use renewable energy. Solar panels are much more efficient and reliable today so making the move to solar just makes sense. We hope to see more homes and businesses using solar power to generate their energy. Getting off the grid is a good way to reduce your carbon footprint.